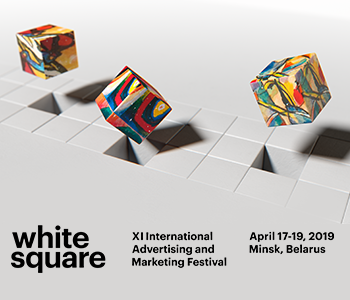 IAB MIXX Awards, the only digital international festival in Romania, invites the agencies in the advertising Romanian market to enter the campaigns done in 2018 on the website www.mixxawards.ro until October 21st. The most creative, interesting and newest projects in the industry can enter the competition in one of the ten categories, such as: ”Most Experimental and Innovative Campaign”, ”Best Interactive Experience” or ”Best Native Advertising Campaign/Project”. MIXX Awards was the main reason I chose to join IAB’s Board. Being the only digital international festival present in Romania, I considered that it needs to benefit from a boost in terms of image and a place of its caliber and importance on the local market. This year, the director council represents a solid structure that facilitates the framing and materialization of this type of initiative. The results of our work we wait to be evaluated by the industry. Therefore, we are waiting for as many entries as possible and a big as possible participation in the hall,” said Andrei Dragu, Business Development Director V8 Interactive and Event Director IAB MIXX Awards 2018. V8 Interactive, the agency that handles this year the festival’s image and promotional campaign, came with a proposal for the first time, that of a special category – “The Never Made Campaigns” through which will be awarded the never done,unimplemented ideas, for several reasons, but whom their authors consider to be full of originality and potential. IAB Mixx Awards is that international festival that handles the best of digital and when we think at the best ideas other projects pass through our minds that could have been super-campaigns and that would have won something, but weren’t done for several reasons. Therefore, we believed it would be interesting the idea of approaching in a festival promotion campaign the best advertising that was done, through the angle of the one that wasn’t done (not to be read ghost or casevertising), either because the client didn’t want it or the creative director rejected it. An in order to take that path until the end we materialized the idea through a category that will award those ideas with potential that have been haunting the creatives’ drawers for years,” explained Cosmin Baba, Creative Director V8 Interactive. The judging criteria for the entered campaigns are based on the international standards used in the countries where the IAB MIXX Awards competition takes place. The objective is to identify the ideas and the projects that inspire and educate the market in Romania, regarding the power of communication in online. The finalists and the winners will be announced and awarded during the gala organized at the Ghica Tei Palace, on November 15th. Moreover, the campaigns that are getting remarked in the festival have access to IAB MIXX Awards Europe and IAB MIXX Awards USA, where they will compete against the winners in other countries. The media partners are: Ringier, InternetCorp, ProTV, RCS&RDS, ThinkDigital, ArboMedia, 2Performant, NetGeo, Femeia.ro, Cosmopolitan, IQads. Previous Post Interbrand released 2018 Best Global Brands Report Next Post Headvertising and ING have the ADC Romania's September "Best Work of the Month"